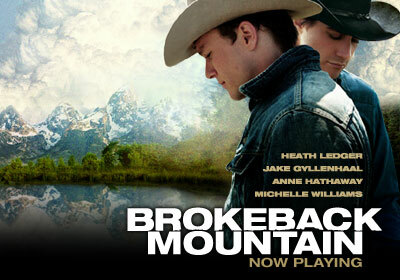 Brokeback Mountain is a good film and well worth seeing. I recommend that the viewer go into the film with an open mind and the idea they will see a love story, not a gay story. They should also take a handkerchief; I sure needed mine. The basis of this story is no different than any love story throughout history, it's just between two cowboys rather than a guy and a girl. The characters fall in love in a situation which is not acceptable in normal society. The story could just as easily have been about a 19th century American high society man and a Chinese peasant girl, or for that matter a 1950s white girl and a black man. I was pleasantly pleased to see throughout the film small pieces of cowboy trivia, such as the scene where Jack mounts his pony, who then proceeds to do just a little bucking. Real cowboys expected that of a good horse. Another example is when the sheep got mixed in with the other flock and had to be separated. I have read many stories about the cowboys of old having similar problems with their cattle; that was just part of their job. The film makers obviously had some real cowboy advisors for parts of the film. In the parts of the film dealing with cowboy'n, the actors in the film portray the real cowboy very accurately. The love scenes are also very believable. As far as accurately portraying the "gay cowboy", that is a matter of interpretation. Gay cowboys are as diverse a group as any portion of the gay population, or of the straight population for that matter. There are many gay cowboys as well as other gay people who have lived a similar scenario as that portrayed in the film. I have been lucky that in my life I didn't have to go though the pain and suffering our heroes of Brokeback Mountain endured. It is a terrible tragedy that people are forced into the situation of creating a family simply because that is what they are expected to do. I have nothing against a decent family life, and believe it to be the backbone of a good civilization. However, to force someone into being something they are not, is a tragedy both for them and those involved. That type of marriage is devastating not only to the individual but also to the family which develops from such forced unions. Think of the children of such marriages and what they must endure when the truth is eventually revealed. Some such families work out well, others are torn apart. No one should ever have to apologize for who or what they are.